Advancements in private clouds and application services now make it easy for such capabilities to reach mainstream enterprises across many industry verticals. Organizations such as financial services firms are taking note and saving millions both in direct hardware costs and maintenance. Recently, a Global 2000 financial services organization adopted the Avi Vantage Platform because it allows them to provide application delivery networking as and when they wish, on commodity hardware (VMs on x86 servers). They can simply extend their subscription and scale-out automatically when they need more capacity without impacting performance. Avi Vantage can dynamically scale-out and scale-in both load balancing and application resources – per application, regionally, for intranet and Internet and even public cloud. Starting with an application-centric (not infrastructure) view and integrating into their existing web platforms, they wanted to consumerize the core application delivery functionality that many have been crying out for (load balancing control, compression, caching, client-certificate authentication and insight into usage and performance, to name a few) and lay the foundation to support the next generation of platforms at the bank. With the build-out of a new data center, they had an opportunity to start with a “green field” site and begin with a new core platform with which to deliver websites and applications. Next, they needed to extend the service capability, increasing breadth of use-cases supported and depth of integration into the platforms. Starting with simple one-click (or one-API-call) activation of functionality such as caching or compression, they could begin to catch up with the market of Application Delivery as a Service. The end-state vision is of a fully automated and programmable, elastic Platform as a Service, offering a full range of application delivery functionality and supporting dynamic scaling and re-placement of workloads on whichever IaaS cloud best suits the usage, performance and cost-constraints for a particular application. A journey from Beyond Application Delivery as a Service (we call it BADaaS™) and moving to everything as a service. 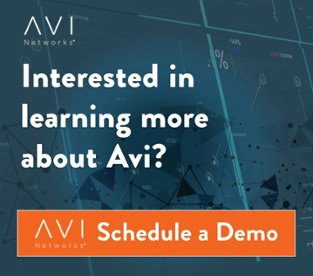 Avi Networks delivers public-cloud-like software load balancing, application delivery and performance analytics to the enterprise, avoiding the traps of legacy, proprietary hardware appliances.